2019 is a very interesting and exciting year for South Africa. We have the wonderful opportunity to have our voice heard in the National Elections on 8 May 2019. To be part of the decision making, we can have our voices heard and therefore actively be part of the International Council of Nurses (ICN) theme for International Nurses Day 2019, namely Nurses: A voice to lead – Health for All. 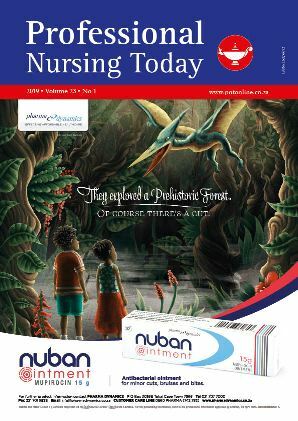 By submitting manuscripts to PNT, authors of original articles are assigning copyright to Medpharm Publications (Pty) Ltd. Authors may use their own work after publication without written permission, provided they acknowledge the original source. Individuals and academic institutions may freely copy and distribute articles published in PNT for educational and research purposes without obtaining permission.